GlaxoSmithKline plc [NYSE: GSK, LSE: GSK] announced today that the United States Food and Drug Administration (FDA) approved TYKERB® (lapatinib), in combination with Xeloda® (capecitabine), for the treatment of patients with advanced or metastatic breast cancer whose tumors overexpress HER2 and who have received prior therapy including an anthracycline, a taxane, and trastuzumab. It is the first targeted, once-daily oral treatment option for this patient population. TYKERB was granted Priority Review by the FDA in November 2006. Tykerb is a cancer medication. 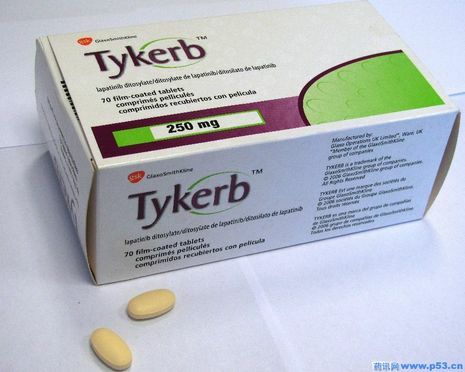 Tykerb is used together with another medicine called capecitabine (Xeloda) to treat a certain type of advanced or metastatic breast cancer that has spread to other parts of the body. It is usually given after other cancer medications have been tried without successful treatment of symptoms. Tykerb, an experimental drug, helps stall advanced breast cancer, said makers GlaxoSmithkline at the American Society of Clinical Oncology, Atlanta, USA. Glaxo said women who had not benefited from Herceptin, another breast cancer drug, benefited when receiving Tykerb. Tyberb, taken along with Xeloda was shown to be twice as effective in slowing down an aggressive type of breast cancer as Xeloda alone. 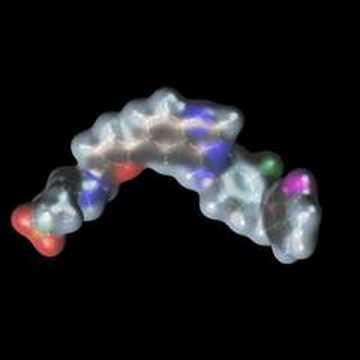 TYKERB is indicated in combination with capecitabine for the treatment of patients with advanced or metastatic breast cancer whose tumors overexpress HER2 and who have received prior therapy including an anthracycline, a taxane, and trastuzumab.